Note: Springs rates can be changed +/- 2K (plus/minus). If you want custom spring rates please contact us directly. 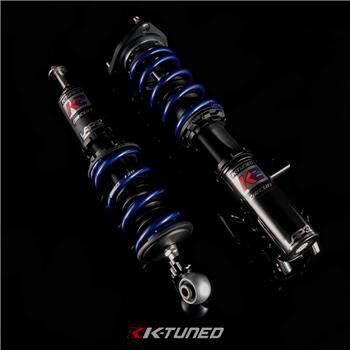 K2-Circuit Coilovers are designed for cars destined for the track; whether thats circuit, time-attack, or drag racing. 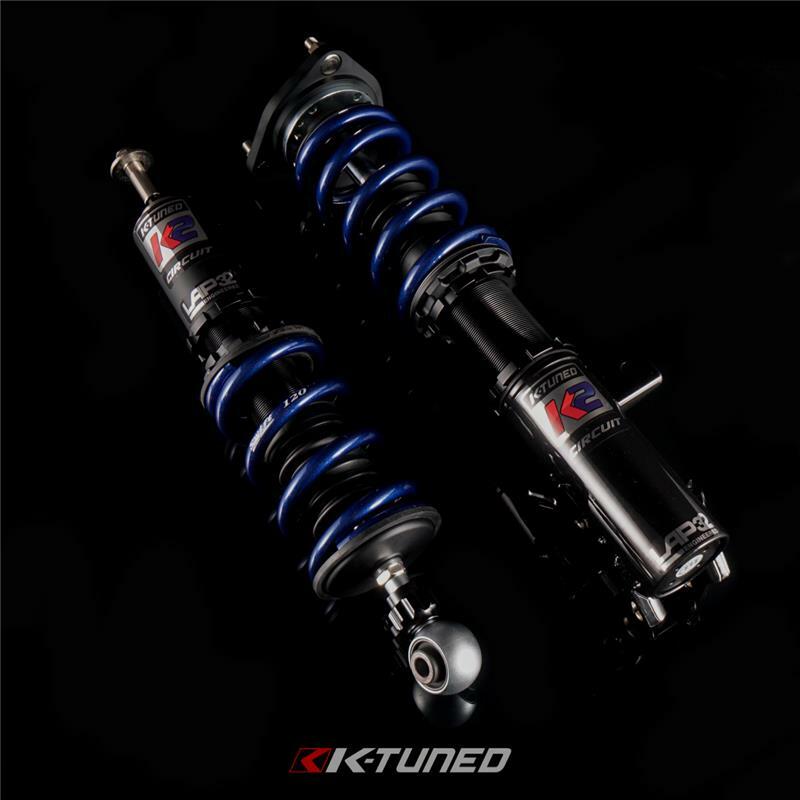 All K2-Circuit Coilovers feature 32 way dampening and stronger internals to handle all the abuse you can throw at them. Stiffer spring rates and more aggressive valving is set on K2’s to keep the car stable in the corners. To make sure they will handle lap after lap we’ve paired up with Swift Springs to offer our own custom spring for all K2’s. They all feature pillow ball upper mounts including older vehicles with double wishbone suspension. Our goal was to design a suspension setup that is reliable race coilover built with the best components. All setups feature adjustable ride height and 32way dampening to adapt the ride to your preference. K2-Circuit comes with pre-set rebound for a simple setup that can quickly be set to your driving style. If you’re looking for rebound adjustability K2-Pro-Circuit 2 Way feature rebound and compression adjustment. Starting with the strut, we invested a lot of time to ensure that they are both durable and reliable. We start with a durable heat-treated steel piston and needle valve to ensure proper travel and linear compression ratio. The strut body is designed to handle the heat and the life cycle it will be put through. Each strut is filled with proprietary oil that is designed to maintain its viscosity even under increased heat or abuse. The oil will keep its unique properties over the years to maintain that same ride quality. This is crucial to the quality and longevity of the strut. Poor quality suspension setups use cheaper oil that can become frothy, lose its strength and degrade overtime. These inferior suspension systems will lose their fluid movement and/or become too soft. We finish the strut piston with longstanding, high-heat rated double seals that are designed to take abuse without breaking a sweat, literally. No leaking struts here. The strut is the most important part of any suspension system. It determines the ride quality and the overall feel. We do not just use a stiffer spring at the suspension to compensate for a poor quality strut; instead we made sure to start from scratch and build a complete coilover that will differentiate itself from the rest. The high quality strut and dampening allows us to use the proper spring rates needed for each setup that will complement the adjustable dampening rates. Each spring is mounted on adjustable aluminum perches that can be used to adjust preload and travel. Incorporated washer and spacers are in place to keep the system free moving especially on McPherson style struts. The coilover system is finished with a combination of powder coating, electroplating, and anodizing to give it a great look and protect it. McPherson style struts feature adjustable upper camber plates and pillow ball mounts.